Rep. Bruce DeGroot, a Republican, represents parts of St. Louis County, including Chesterfield, (District 101) in the Missouri House of Representatives. He was elected to his first two-year term in November 2016. Immediately prior to assuming his office, Rep. DeGroot served as a councilman for the City of Chesterfield. Rep. DeGroot is a former Trustee for the Chesterfield Farms Subdivision and has served as the Vice Chair and Secretary on the Planning Commission for the City of Chesterfield. He has also served on the Board of Variances and the Chesterfield Drug Task Force. He attends the Ascension Parish, where he is also a board member for the Ascension Athletic Association. Rep. DeGroot graduated from Sioux Falls Christian High School in 1982. He earned his bachelor’s degree in 1987 from the University of South Dakota and his J.D. from Saint Louis University School of Law. Rep. DeGroot was born in Sioux Falls, South Dakota and is a descendent of Buffalo Bill. 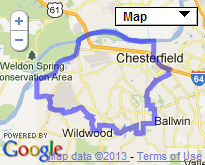 He currently resides in Chesterfield. He and his wife, Jill, have three children—Regan, Cliff, and Thomas, whom they love to brag about.